Does anyone know of anyone that LIKES cheesecake but Doesnt like it from Cheesecake Factory? I wouldn't ask, "Who doesn't like CCF" BEcause those that don't like Cheesecakes would raise their hand. So I wanted a specific demographic. I don't "hate" Cheesecake factory, no matter what the dish. It's one of those things where if you were to offer me a free entree/dessert from there while I was walking down the street when I was starving I'd be hyped and eat the whole thing. It's just not a place I would ever eat a premeditated meal at. Not a single soul, at least around my way..
Not that I can think of. I think I’ve heard people say they find certain types of CF cheesecake (Oreo, etc.) to be to too sweet/rich, but can’t recall anyone disliking the original, basic cheesecake from there. My fave is the banana cream cheesecake. Haven’t been to cheesecake factory in years. Was thinking about it yesterday and tempted to drive there to buy a cheesecake or two. mastamind89, nawghtyhare, 23kidd and 7 others like this. Cheesecake factory has the best restaurant cheesecake anywhere. too bad you can only get it fresh if your from the east coast, unless you willing to do a cheesecake walk? soychulo, 23kidd, niceshoes247 and 1 other person like this. 23kidd, ahat20, illphillip and 3 others like this. my mother personally loves cheesecake. The fam gets its for her every Bday or mother's day. 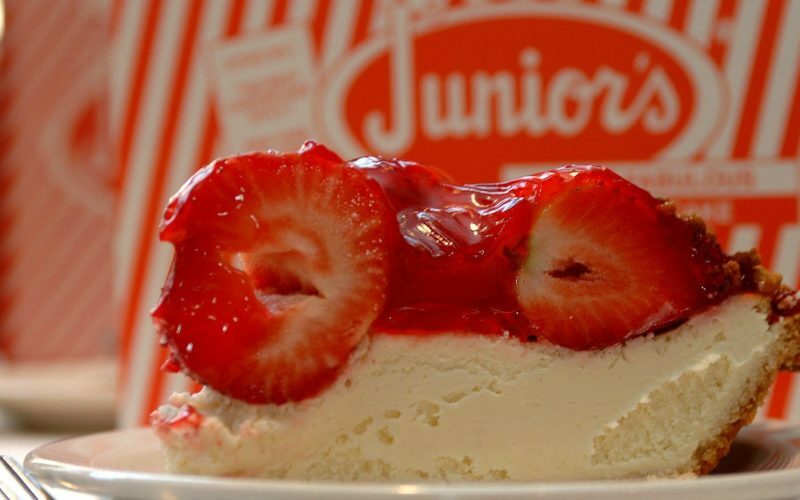 Juniors is the only place she will like her cheesecake from. Why don't you also created a back crust? I don't like most cheeses, so up until two years ago I figured I wouldn't like CHEESEcake. Then I stopped and said to myself, "You used to eat CreamCheese w/Bagels when you were younger." Cheesecake is made with creamcheese, so try it. I tried a few flavors and it was good. I usually get Key Lime CheeseCake from CCF but I also like the Peanut Butter Cup flavor. I understand the hesitation. Cheese and dessert does seem odd at first. But it actually isn’t that unusual. Cakes other than cheesecake, Carrot Cake is one, use Cream Cheese frosting. Italian Cannolis are made with sweet Riccota cheese. i would eat the typical cheeses you'll find on a sandwich, burger, salad, but them gourmet cheeses you find at Whole foods, is a big no-no. Cultural, individual or regional ? it's too late answer question. Black Lotus, nawghtyhare and 23kidd like this.